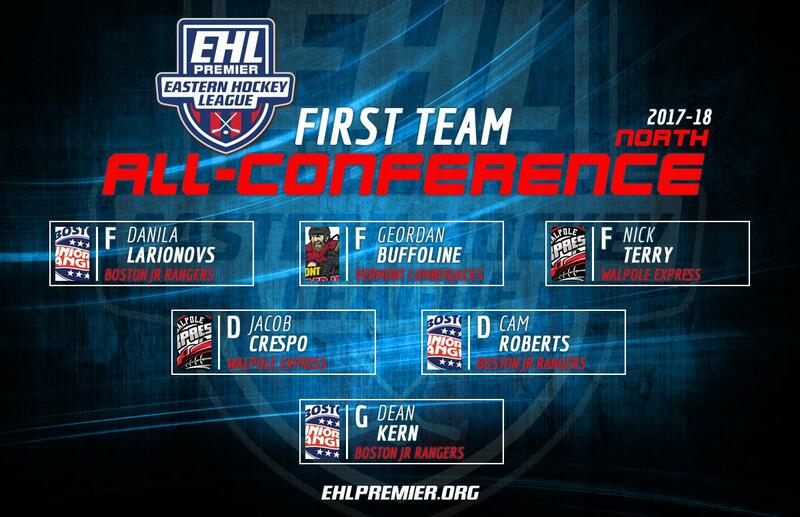 BOSTON, MA -- The Eastern Hockey League Premier (EHLP) is pleased to announce this year's All-Conference Teams for both the North Conference and the South Conference. 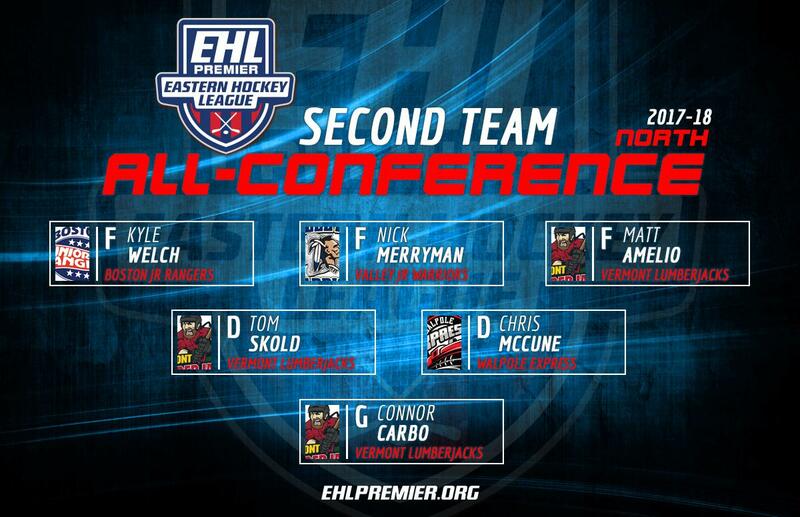 All the EHLP coaches voted on their respective conference, identifying three forwards, two defenseman, and one goaltender per lineup. Below you'll find the 1st and 2nd team honorees for both the North and the South. 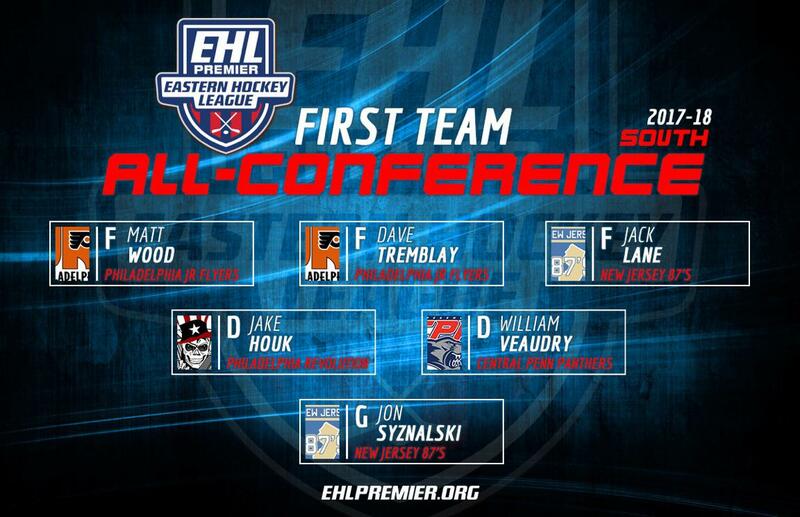 Remember to watch the EHLP Playoffs live on HockeyTV.